Menashe Review | Absorbing and fascinating on multiple levels. "Few protagonists in recent memory have been so painfully flawed as Menashe. " "Maneshe is fascinating as a window into a rarely seen-on-film culture and absorbing as an examination of a very human personality. " The access Menashe provides to Hasidic culture is enormously engrossing but so is the central figure of Menashe Lustig. Weinstein discovered Lustig on YouTube after the latter had become a minor internet sensation, posting Charlie Chaplin-esque videos of himself in comic situations, such as trying to fry an egg with an iron. He may be one of the first Hasidic Jews to cultivate a YouTube presence and he is certainly one of the few. Menashe the man is clearly a person with a strong inclination towards creativity. 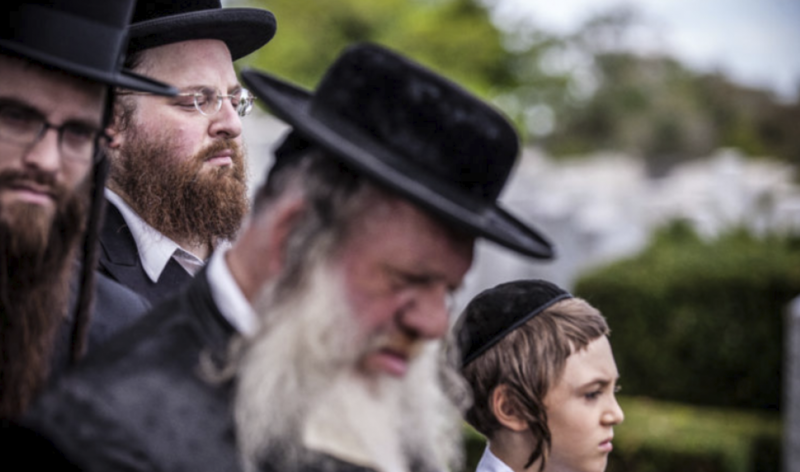 Menashe the film is a powerful representation of the contest between our internal sense of self and our sense of self that’s engendered by external influence. It’s about a man who can’t help being himself, in a community to which his personality doesn’t easily lend itself to. It is a film filled with small moments that make a larger impact than the initially appear to. Some films linger with you because their spirit is impossible to shake. Menashe stays because its subtleties are so on the money. Menashe’s wife has been dead for almost one year. He has a son, Rieven (Ruben Niborski), who has been placed in the care of Menashe’s disapproving brother-in-law, Eizik (Yoel Weisshaus). Much of the film progresses at a meandering pace. This is not a criticism. We’re engaged with Menashe’s undoubtable love of his son and inability to reconcile that love with his ability to take care of him. I was reminded of the relationship between the father and son in De Sica’s masterpiece The Bicycle Thief, particularly in Rieven’s regard for Menashe. The association with De Sica and the neorealist movement that swept Italy many decades ago doesn’t end there. There’s the same sense of immediacy here that saturated the best neorealistic films, perhaps in no small part to the authenticity Weinstein encourages through his casting and location choices. Few protagonists in recent memory have been so painfully flawed as Menashe. Though his flaws are accentuated by the people around him, like Eizik, in many ways Menashe is a difficult character to warm to because there is never much learned from his mistakes. The intent to behave productively is present but the will to do it is nebulous. And yet Menashe is more than a bumbling fool and we progressively gain an understanding not of a character but of a real man who can’t fight his own nature. 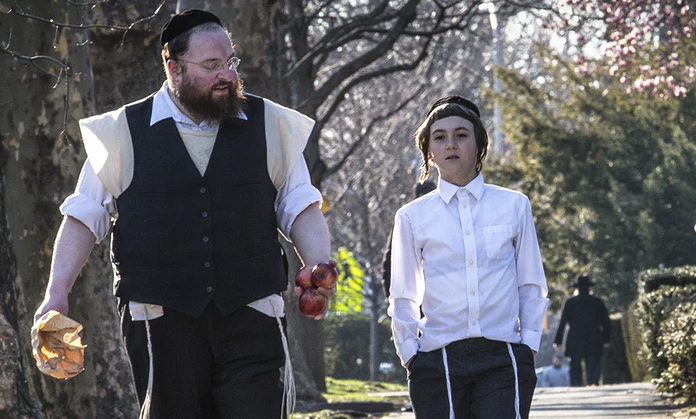 That the character of Menashe is, in essence, also the real person Menashe Lustig strengthens Weinstein’s gentle examination of how an old religion can accomodate modernity and the emotional independence that cultural globalisation brings about. We never get the impression that Menashe is anything but a devout Hasidic Jew and yet the austerity with which his community governs him conflicts with his personality. Maneshe is fascinating as a window into a rarely seen-on-film culture and absorbing as an examination of a very human personality.